France is now home to 67.2million people, according to official figures from national statistics office Insee. The figure makes the country the second most populous in Europe. Only Germany, with 82.7million, has more inhabitants. But, while the French population is growing, it is also ageing. About 19.6% are now aged over 65, Insee said, compared to 15.5% two decades ago. 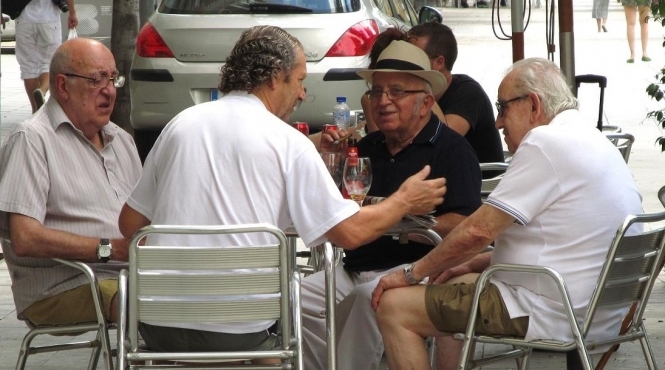 It is a problem common to many Western countries, where the increasing number of pensioners is putting a strain on the economy, which is propped up by fewer people of working age. The birth rate, too is declining - though France remains the most fertile country in Europe. A total 767,000 babies were born in France in 2017, a drop of 17,000 on 2016 - marking the third year in a row that the birth rate has fallen. Mothers are waiting longer to have children, Insee figures also show. The average age of a new mother in France is 30.6, compared to 29.8 a decade ago. The average number of children per woman in France is 1.88.